Lock in a great price for Scandic Kramer – rated 8.5 by recent guests! Very friendly staff. They show that they care. The room service is very good, they just take good care of you. Internet is excellent, easy to connect to and the wifi range is very good. The hotel was well placed for exploring Malmo by foot and is set in an older, traditional building with high ceilings and a wide, grand staircase in the entrance. The breakfast buffet was very good and the staff were all very attentive and friendly. Modern bathroom. Our room faced a side street but was accross from an old brick building that resembles a church or abbey and afforded us privacy. The front-facing rooms are in the direction of the square and parking lot and would be very noisy on the weekends. Central location; style of the architecture; price; helpfulness of front desk; breakfast. Our first room was a disappointment. The bathroom didn't have a shower and the bath was raised on a marble plinth which was very dangerous when wet. We did get a replacement room the next night. lovely greeting when we arrived from friendly warm hearted women at front desk. wonderful room, yummy breakfast, just love everything about this hotel! Cant wait to go back! Location of the hotel is great. Staff was extremely nice and helpful. Scandic Kramer This rating is a reflection of how the property compares to the industry standard when it comes to price, facilities and services available. It's based on a self-evaluation by the property. Use this rating to help choose your stay! Scandic Kramer’s spacious guest rooms are classically decorated in a Swedish manior style or an English club style. Each feature a TV with movie channels, mini-bar and work desk. Ironing facilities are also available. The hotel’s restaurant serves international cuisine in elegant settings in a glassed terrace. The comfortable lounge provides nice views of Stortorget Square, especially during warm months when guests can dine and enjoy a drink outside. Kramer's relaxation area includes a fitness center and sauna and solarium. Hotel staff can arrange bicycle rentals so guests can explore the surroundings. Guests can cycle or take a walk in nearby parks, such as Slottsparken or Kungsparken. Ribersborgs Beach is about 1.2 mi away from Scandic Kramer. Norr is a great choice for travelers interested in old-town exploration, cafes and ambiance. 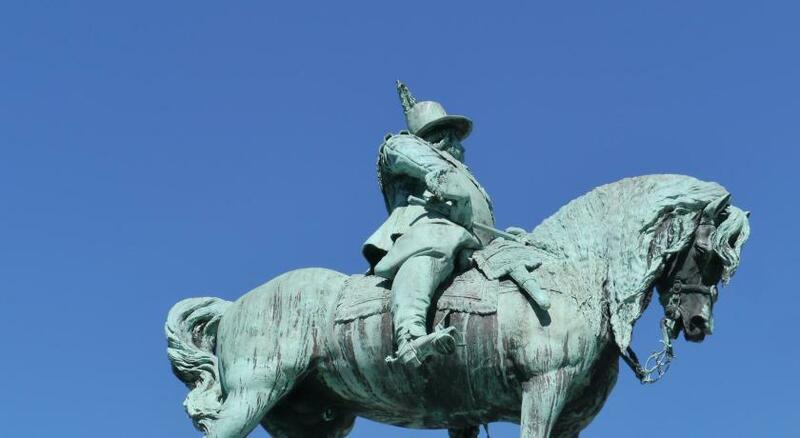 This is our guests' favorite part of Malmö, according to independent reviews. This property also has one of the top-rated locations in Malmö! Guests are happier about it compared to other properties in the area. When would you like to stay at Scandic Kramer? These rooms are decorated in either a Swedish mansion style or in an English club style with mahogany and marble. All include a mini-bar, ironing facilities and a TV with movie channels. Public parking is available at a location nearby (reservation is not needed) and costs SEK 165 per day. This room features a TV, desk and bathroom with a shower. Offering more space, this room features a TV, desk and bathroom with a shower. 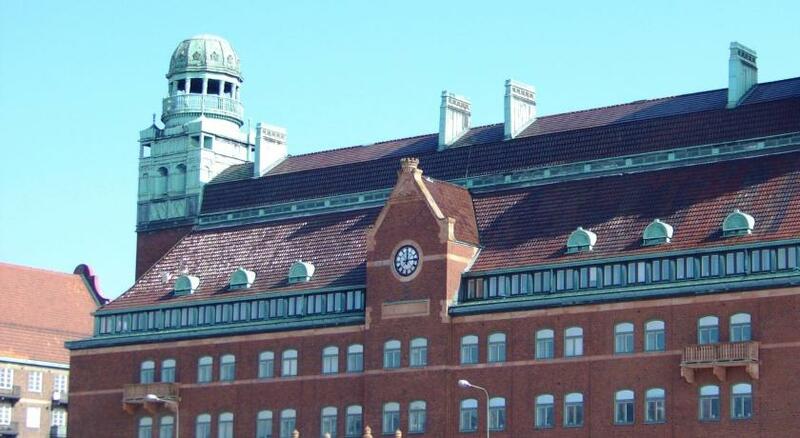 Scandic Kramer is conducted in a beautiful building from 1875. The hotel was founded by Anna & Fritz Kramer who came from Germany to Malmö in 1863. The hotel is built by French neo-Renaissance-inspired chateaus in the Loire Valley. Fritz passed away in 1893 but Anna kept running the hotel together with their oldest son for antoher 28 years. Today Anna is known for keeping an eye of the hotel and her portrait is hung in the staircase. The hotel has been renovated in a way that preserves 1800s charm. In the lobby you are greeted by a stunning staircase with decorated glass windows. At Scandic Kramer, you can enjoy delicious food and drinks in our restaurant and bar, as well as on our glass framed porch. When you stay with us you can stay in shape in our hotel gym and unwind in the sauna. The hotel has also meeting and conference rooms and we offer free Internet access in the rooms and public areas. Hotel surroundings – This neighborhood is a great choice for travelers interested in old-town exploration, cafes and ambiance – Check location Excellent location – show map Guests loved walking around the neighborhood! 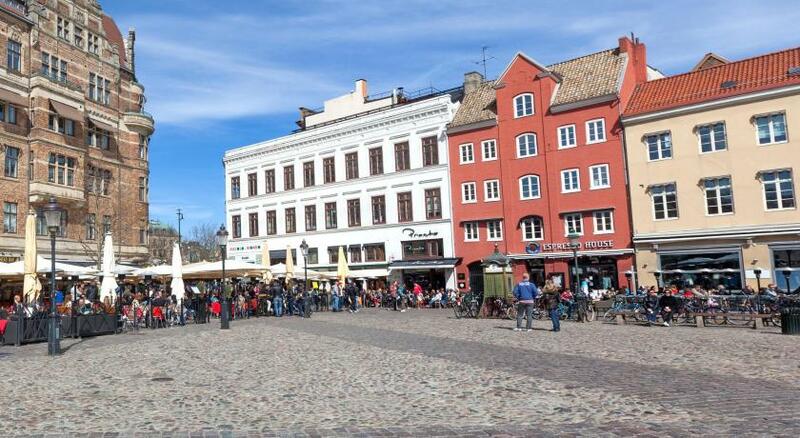 Malmo is a maze of half-timber buildings and impressive squares, all bordered by an old canal. House Rules Scandic Kramer takes special requests – add in the next step! Scandic Kramer accepts these cards and reserves the right to temporarily hold an amount prior to arrival. Guests arriving later than 6 pm are kindly requested to inform the hotel in advance. Contact details can be found in the booking confirmation. One of the most picturesque neighborhoods in Malmö! The room was not that clean. I found hair here and there. Breakfast was good, but I expected much more from it compared to other Scandic hotels. Very friendly staff. Hotel rooms are a bit tired but OK enough if you need to stay one night. Centrally located, close to train station with direct connection to CPH. Quite small and uncomfortable bed and synthetic bed linen led to a bad night's sleep. Could need renovations. Window was so old/broken it couldn't close again. One of the breakfast items was mouldy. The Beyond Burger in the restaurant was amazing. Nice with some vegan options for breakfast. Great bed, big room with nice atmosphere. Most of the staff was friendly. The bathroom didn´t have any floor heating, the heated towel stand was cold, so no heating at all in the bathroom on arrival. In general the room was cold, but by rearranging the curtains the room became warm after a couple of hours. The breakfast was exellent, plenty of choices. Great breakfast, and great rooms! There seems to be a lot of deferred maintenance. I would even go as far as to say the hotel needs a complete interior renovation. The carpets are tattered and stained and the furniture in our room was cheap and in disrepair. The bathroom has been modernized though. Also, twice, we discovered cleaning supplies left in the hallway by the cleaning staff. Check in was slow probably due to several guests arriving at the specified check in time of 15:00.Perhaps this could be earlier? We were hoping that we would be in one of the rooms elsewhere in the hotel that were designed like the interior of a ship. We had previously stayed in such a room. The location and was excellent and having regards to the age of the hotel the rooms were adequate but lack some basic modern facilities. e.g. Tea making facilities and personal safe in room.